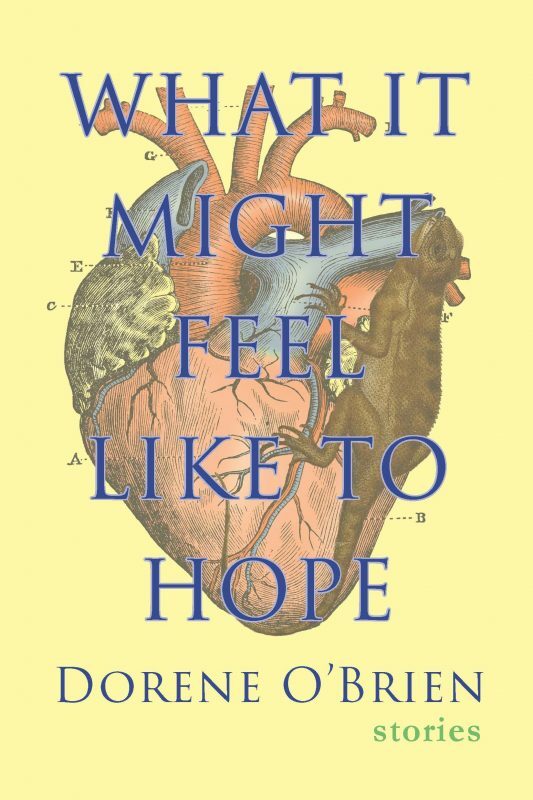 What It Might Feel Like to Hope, the third collection from award-winning author Dorene O’Brien, is a masterful and eclectic mix of stories that consider the infinitely powerful, and equally naïve and damning force that is human hope. A couple tries to come to terms with one another as they travel west in the uncomfortable twilight of their youth; a mortician and an idealistic novelist spar about the true nature of death; an aspiring author hopes to impress Tom Hanks with zombies; a tarot reader deals out the future of Detroit. Showcasing her diverse talents, O’Brien offers a panoply of characters and settings that dwell beyond the borders of certainty, in a place where all that has been left to them is an inkling of possibility upon which they must place all their hopes. These stories offer a variety of tones, forms, and themes in which O’Brien displays an amazing range and control of her craft, all while exploring the essential nature of humanity with nuance, empathy, and at times a touch of skepticism.